Milan is a couture powerhouse, recognised internationally as one of the world's most influential fashion capitals. Home to the crème de la crème of clothing lines including Valentino, Versace, Dolce and Gabanna and Prada, it's a fashionista's paradise. Even if you're not in a buying mood, you can't complete a getaway to Milan without a visit to the fashion district. This upscale street was one of the first streets in Milan known for its luxury fashion, today it's the most important street in the district and is well-known for its ready-to-wear collections. The Gucci shop is situated here, alongside some of the most exclusive Italian shoe boutiques. The window displays are second-to-none, making this a lovely street for a nice stroll. 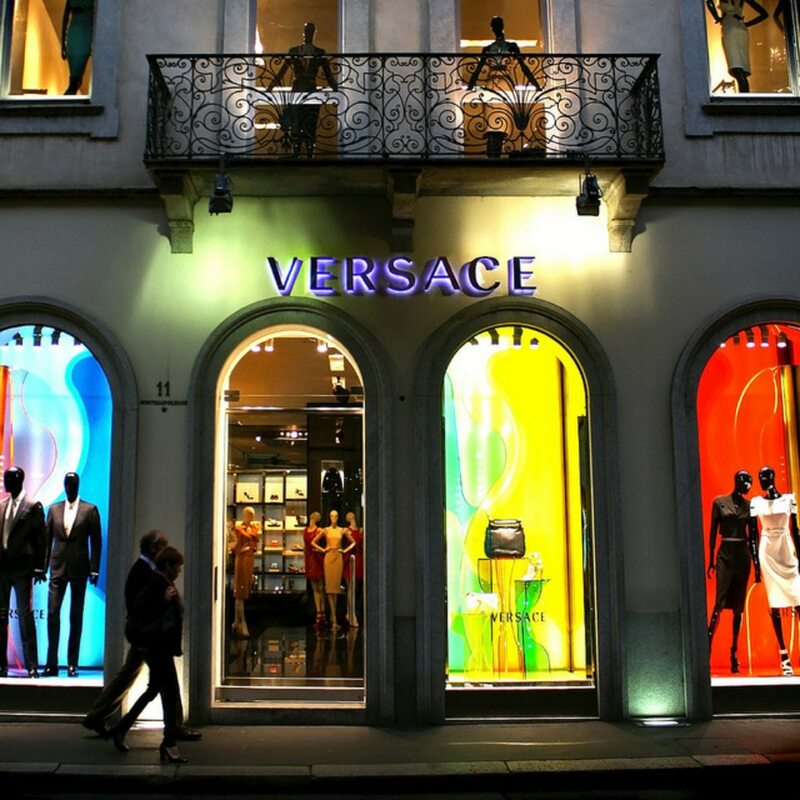 Check out the Louis Vuitton, Gucci and Versace stores for the most recent lines. Even if your style's more Coco Chanel, this street is for you. This street has more than just fashion stores however, you'll also find the Museo di Milano, a museum dedicated to the history of the city. And, when you've shopped and toured yourself out in Milan, we recommend that you drop into Caffe Cova for some traditional Milanese cakes and tea. 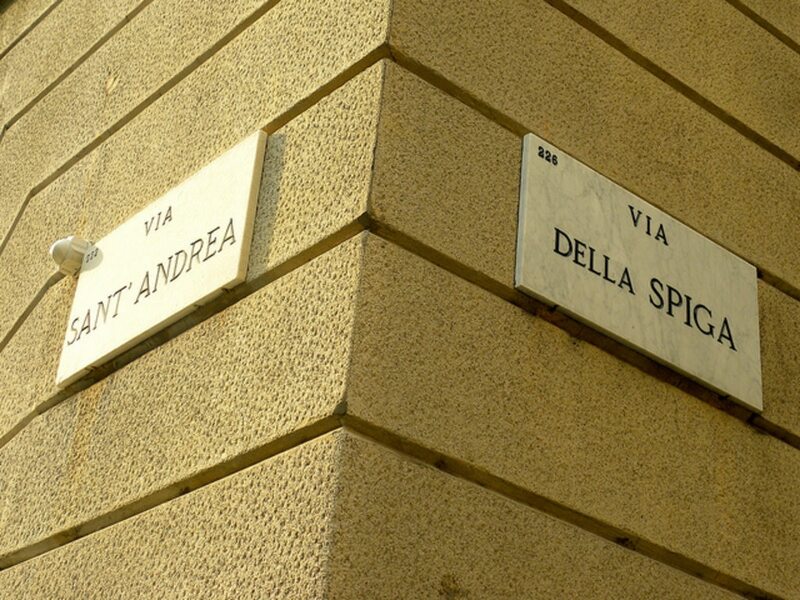 This street is home to Grand Hotel et de Milan and several impressive palazzi. In addition to the long list of retail shops, the Museo Poldi Pezzoli is located here. The museum displays a private collection from Gian Giacomi Pezzoli and his mother Rosa. The exhibition includes weaponry, glassworks, ceramics, jewellery and furnishings. A must see for all you art-enthusiasts. Here you will find stores for labels such as Bulgari, Krizia, Sergio Rossi and Dolce and Gabanna. You may not recognise some of the names on this street as many are very 'haute couture'. However, if you're looking for something unique and are willing to pay a pretty penny, this street is for you - many of the boutiques sell one-off exclusive items. Almost one step ahead of every other city, couture lines jump from catwalk to clothing rails in just a few weeks in Milan. This means that Milan is also home to some of the best designer outlets in the world - what's 'so last month' in Milan, may not have even hit the UK shelves! So if you feel the price tags in Quadrilatero d'Oro are a bit over your budget, head on down to Fidenza Village. Situated just outside Milan this shopping village features over 100 designer boutiques that offer up to 70% off. These include Valentino, Paul Smith, Missoni and Michael Kors. Don't worry if you're not really into shopping high fashion - Milan also has an amazing vintage scene where you can pick up something really unique. Which designer boutiques are your favourite in Milan? Tell us in the comments box below. Images by Dimitry, Mike, Jason, used under Creative Comms licence. Located in the heart of Somma Lombardo, this hotel is within 1 mi (2 km) of Castle Visconti San Vito and Basilica di Saint Agnese. Church of Saint Peter and Lake Comabbio are also within 6 mi (10 km). Welcome to Holiday Inn Express Milan-Malpensa Airport, the closest hotel to the Terminals. Holiday Inn Express Milan-Malpensa Airport is located only 500m from the Milan Malpensa International Airport it is ideal for those who are traveling either for business or leisure. The hotel boasts wide and functional areas designed with contemporary style, lively colours and refined materials. The perfect fusion of spaces and the integration of the furniture make the reception, the bar and the breakfast room a unique spacious public area which represents the ideal place to meet for work or to relax after a long journey. Modern technology and fresh look are the strengths of the brand new Holiday Inn Express Milan-Malpensa Airport hotel which offers 124 modern and comfortable bedrooms all equipped with soundproof technology, WiFi internet connection and wooden floor. Ample public areas of more than 1000sqm available to our guests who will be able to surf the internet by using the dedicated internet points or by simply connecting to the wireless net while sipping a drink at the bar or sitting in the lobby.Complete the offer of the Holiday Inn Express Milan-Malpensa Airport complimentary shuttle service on a scheduled basis to/from Terminal 1, extensive parking facilities, free Continetal breakfast and a meeting room able to host up to 40 persons. Hilton Milan is located in the heart of the city, a few steps from Milan's business district and from the most famous fashion flagship stores. The Central railway station, the metro stop, and shuttle buses for the 3 main airports are located within a short walking distance. A tax is imposed by the city and will be collected at the property. The amount has been determined by the local administration and depends on the length of stay, property classification, and room price. This tax does not apply to residents of Milan or children under 18 years of age. Please note that further exemptions may apply. For more details, please contact the property using the information on the reservation confirmation received after booking. This hotel is located in the business district of east Milan, only 6 metro stops away from the city centre, and close to Milano Rogoredo Train Station (direct line to Malpensa and Rho Fair); the nearest metro station is 15 metres from the hotel. Located in the center of Milan, this family-friendly hotel is within a 15-minute walk of Piazza della Repubblica and Corso Como. Teatro alla Scala and Pinacoteca di Brera are also within 1 mi (2 km).